This is a post directed towards opening up a bank account (in CAD) at CIBC. 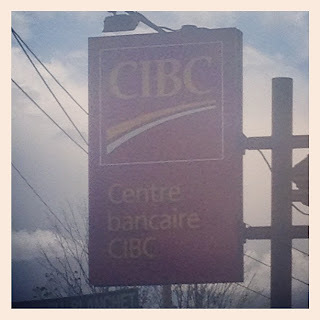 CIBC is the Canadian Imperial Bank of Commerce. It is the fifth largest bank in Canada based on deposits, and in May 2012, Bloomberg ranked it the strongest bank in North America and the third strongest bank in the world. Open a simple checking account. This account is in CAD and whenever money is taken out it is converted to the USD. Keep a minimum balance of $1,000 in your account, otherwise you will be charged a #3.90 fee.